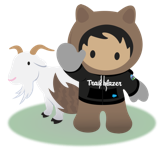 When sending list emails whether from a template or not, if it has a Salesforce File uploaded to it as an attachment, it rejects the email and sends the sender the note below. If we remove the attachment either from the template level or the live draft email, it sends the list email fine. List email "test" was canceled due to an error detected by the system. Click http://domain.my.salesforce.com/0XB1O000000fx to view more details about this list email. When I click on the link provided, it tells me nothing. Just a summary of the email record but no additional error details. This happens for all users including myself the system admin. Is there something I need to establish to allow attachments to be sent? If we send an email from a contact record for example, there is not issue with sending attachments, only list emails. **Repost in different topic group to see if it gets a response. Circling back here for anyone else that searching it. After working with SF Support, somehow our "Content Deliveries" box got unchecked, Feature Settings > Salesforce Files > Content Deliveries and Public Links. It is sort of fixed, List emails with attachments now go through and don't error out but now we are having an issue where a simple, small file size (1.3 MB) PDF attachment comes through as an .html file with a link in it to the attachment even though under Setup > Email > Email Attachments is set to "Include as attachment up to Salesforce email size limit or as links if more" (See screenshot below). From what I can tell here the file size limit should be 25 MB so it should not be triggering as a link. Hi James, I'd encourage you to mark your own answer as "best answer". That will mark this thread as resolved and help others find the answer. Thanks for sharing the solution you found!